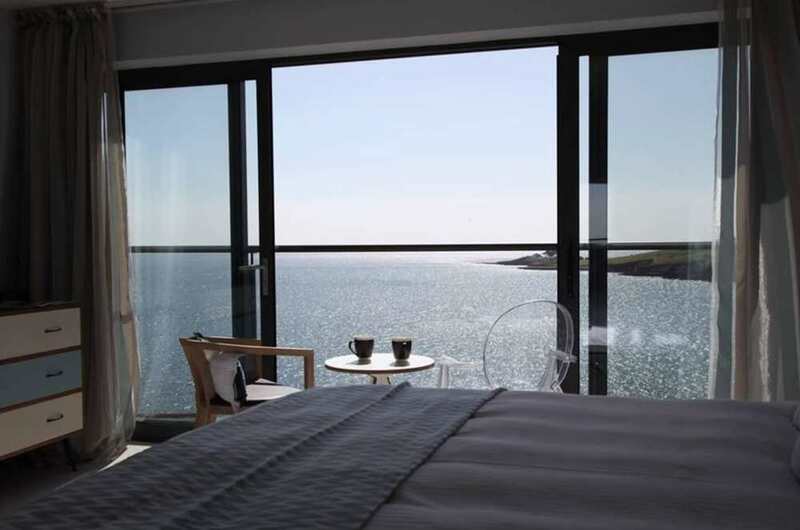 Looking for hotels in Cornwall with sea views? Look no further. Introducing you to Pebble House, a charming place with staggering sea views in Cornwall peninsula. We invite you to learn more about the views of this piece of paradise as we chatted with Andrea and Simon Copper, owners of Pebble House. What makes Pebble House view so perfect? Uninterrupted 180 degree coastal and rural views that are ever changing and watching the local fishing boats out in the bay below on their daily catch bobbing around at 4.30am with their lights twinkling, or as the sun rises out over the Historic Chapel Point. Sitting watching the fishing boats coming home ladened with their catch of the day followed and surrounded by the swarms of seagulls eager for their share of the catch! Watching the local farmers sheep and cows meandering around in their fields and listening to them “talking” to the birds or to walkers walking the South West Coast path which comes directly in front of Pebble House. Any season/time of the year as the sea and our views are like an open fire – forever changing. How should one experience Pebble House view in a truly memorable way? With a glass of champagne in hand whilst enjoying a homemade Cornish Cream Tea sitting in a comfy armchair in one of our sea view bedrooms or siting on out the front terrace. Or waking up and being able to gaze straight out to sea without even getting out of bed and with the sensation of sleeping in an infinity bed above the sea. 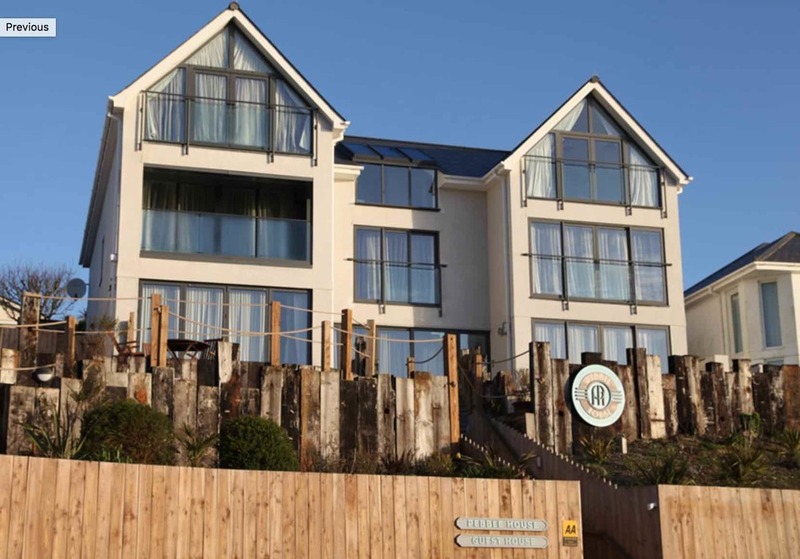 Being Boutique accommodation, all our sea view rooms are totally exquisite and unique, as are the views even and when taking breakfast from either the breakfast room or (weather dependent) our front terrace – 180 degree panoramic coastal and rural views. Our Long Liner Suite on the top floor has the most commanding views and space in the room. Describe Pebble House view in a single word. The best hotels and places to stay in Cornwall. Enhance your Cornwall holidays by staying in hotels and cottages with spectacular sea views.